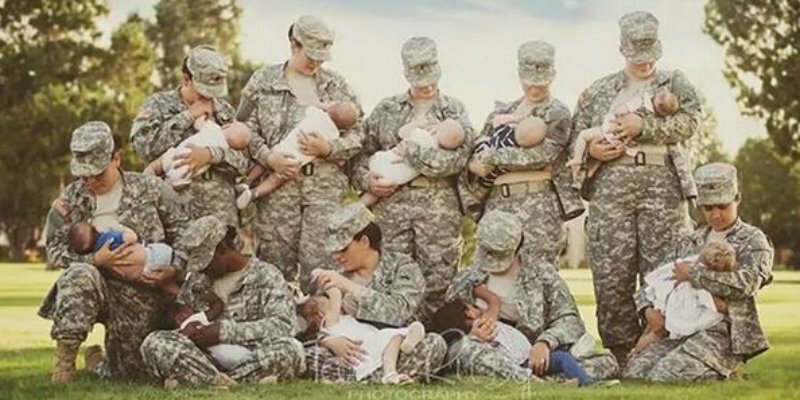 A photo of 10 active-duty military mothers breastfeeding their babies is being shared all over the internet. The soldiers serve at Fort Bliss, Texas. When the photographer, Tara Ruby, put out a notice that she’d like to take a group portrait of nursing moms, she didn’t expect to get many volunteers. She was gratified that 10 women came, dressed in combat boots and camo.